was anyone else as obsessed with this t.v. how as i was growing up? who here remembers the amazing t.g.i.friday lineup? i remember sitting home from elementary school to 8th grade anxiously awaiting the new t.g.i.f. episodes. my mom & i would sit watching them together, sometimes a friend or two would be there for a sleepover. ah, the good old days. why can't there be more shows like this on anymore? better yet, why can't they just play reruns constantly. that would be a dream come true. I did the exact same thing! Me and my friend had sleepovers every Friday night and would watch Sabrina the Teenagae Witch and Boy Meets World. I miss it! 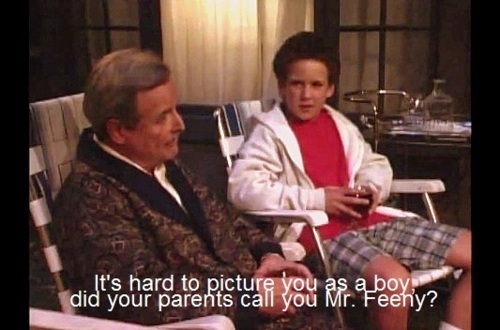 boy meets world was the best show ever! i love all of those old tv shows!